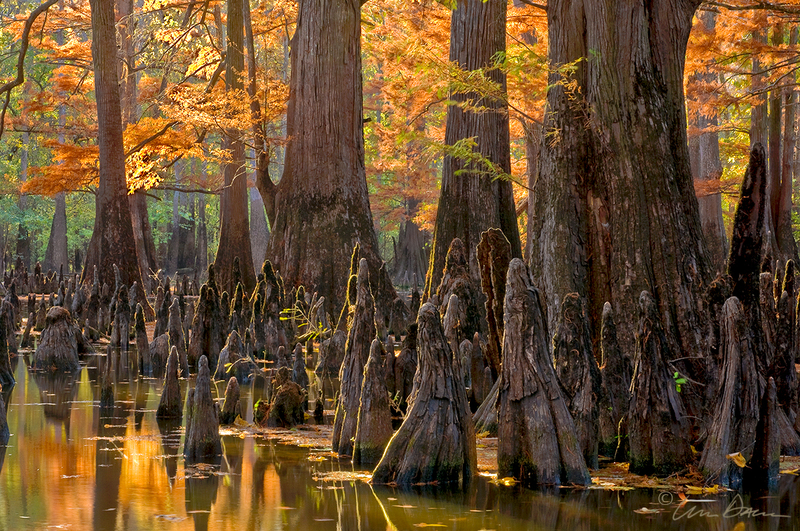 Late afternoon light filters through a cypress forest in White River National Wildlife Refuge. Arkansas Nature Photography. Photo © copyright by William Dark.